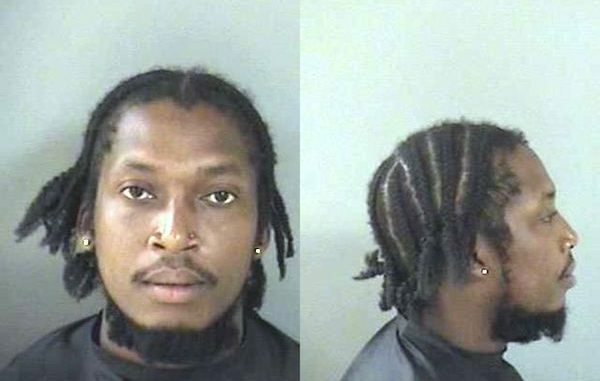 SEBASTIAN – A man who called the Sebastian Police Department to request their service about a civil matter was arrested for driving with a suspended driver’s license. Troye C. White, 29, called police from the 900 block of Yearling Trail in Sebastian about a matter between himself and his employer. When police arrived, they learned that his driver’s license was suspended. “Troye confirmed that he had knowledge of his license being suspended,” the officer said. Police asked the subject how he was getting home, and White said he was driving, according to the report. “[Police] explained that he was not permitted to operate a motor vehicle and suggested that Troye call someone to pick him up,” the report said. Instead, White argued with the officer as he was told he would be arrested if he drove away from the residence. The officer observed White enter his blue 1980 Oldsmobile two-door sedan, start the vehicle, and place it in reverse. White said he wasn’t breaking any laws and the road he was driving on was private property. “After explaining to Troye that he was violating the law by driving while his license is suspended and having knowledge, Troye became irate and continued to argue with officers,” the report said. Troye White was arrested and transported to the Indian River County Jail where he was charged with driving on a suspended driver’s. A large Mossberg .22 caliber long rifle was found in the vehicle with a large amount of .ammunition.